If there had been an audience award at schrit_tmacher festival, it would have been -most likely- awarded to this evening’s performance that just found its end… – at least what concerns the spectators as those frenetically celebrated the contribution of the eleven dancers (all men) and the choreographer. BlackBlancBeur with the female (!) choreographer Christine Coudun was in 1984 one of the first ensembles to get together in France and to become known beyond national borders. In 1989 Kader Attou founded ACCRORAP together with Eric Mezino, Chaouki Said and Mourad Merzouki. 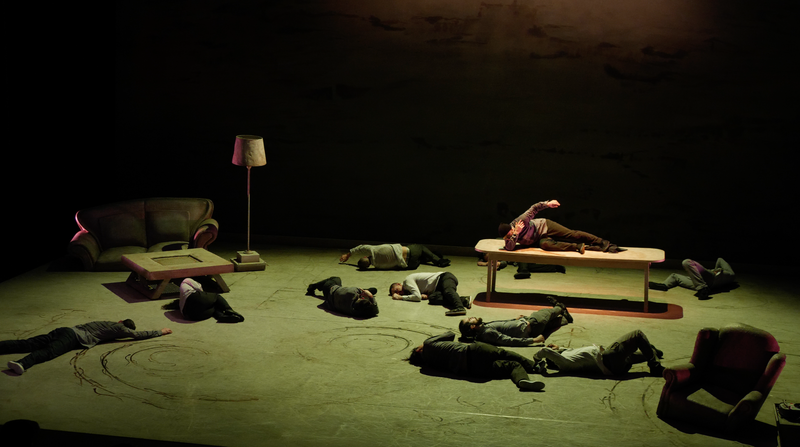 Among the Schrit_tmacher audience Merzouki, since 1996 striking out on his own, is well known with his company Käfig. His piece “Yo Gee Ti“ had been likewise acclaimed in Heerlen two years ago. 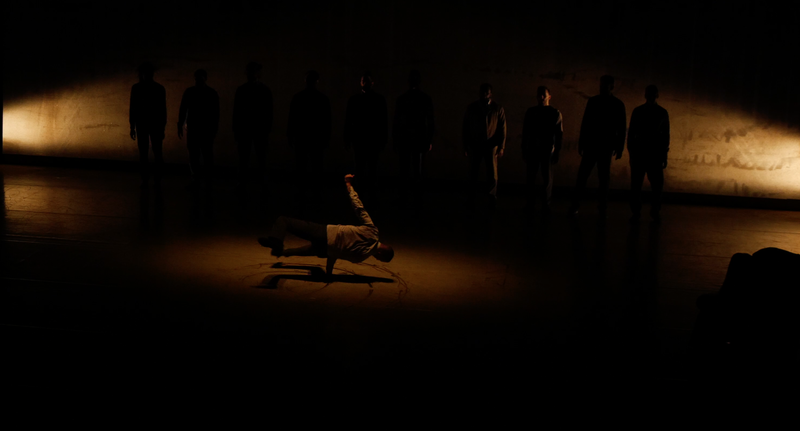 The development that the Urban Dance and Hip hop undertook, particularly in France, going into the direction of creating its own label in the contemporary dance field via a clear choreographic language, can be acknowledged therein as Kader Attou, actually educated in circus and dance, became the first “Hip hop choreographer“ to direct the National Center for Choreography (CNN). Since 2008 he is the director of CNN in La Rochelle. Only shortly afterwards his former collaborator was likewise honored with this nomination: in 2009 Mourad Merzouki became director of the CNN de Créteil and Val-de-Marne. 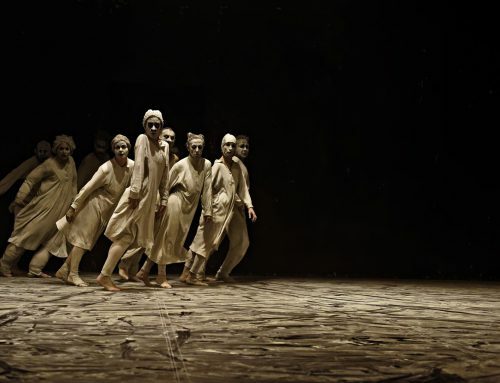 A poetic and musical dance of the author dance – that is Attou’s aspiration – “The Roots“ premiered in La Coursive in La Rochelle in 2013 and was an instant success and has been on tour since, in France with more than 100 performances. 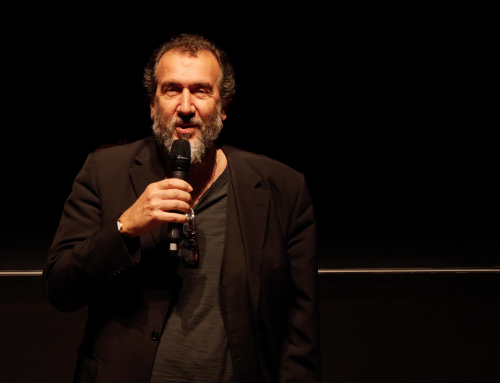 “I created a poetic world for myself being inspired by many things, among those also Buster Keaton and Harold Lloyd“, Attou once said in an interview. “For twenty years my dance has been characterized by the friction of the aesthetics of Hip hop, Kathak and contemporary dance. Regarding this interrelation it is – for me – all about building bridges, creating connections, enabling dialogues across differences. This research caused an urge to further attempt and better understand what evolves from the body and what from emotion. How can emerge this emotion via virtuosity out of technique, a mechanical movement, a code. This is the underlying question of “The Roots“. “The Roots“ is first of all a human adventure, a journey. Eleven excellent Hip hop dancers are the performers and join me for this adventure. Tableau for tableau, chapter for chapter this performance transforms, opens up to something further, leading to a somewhat else. The universe here is the one of daily life, something very ordinary, a table… A vinyl disk is creaking on a record player, memories of childhood. The music plays an important, evocative role. The mass of the dancers reacts, responds. Brahms, Glazunov and especially electronic music opens up the doors to this dancing humankind. What of all this did in the end reach the reviewer of this article? “The Roots” develops beautiful images – not always but they exist – which is a first “Quick-Statement“, a first feedback. Yet, in the long run those images did not touch (me). Maybe also because this “story-world in images“ too often headed for situations that culminated in sort of battle rituals which form an integral part of Hip hop, its world and society. Self-evidently this is the joint of performers and choreographer. This is the story being told – among others – yet, the notion of what this “search for roots“ could have to do with oneself would come across as much, neither to the reviewer nor the spectator, the empathetic bystanders. The reason for this may be that the exceptional physical and acrobatic skills of the dancers do not necessarily make our mirror neurons oscillate. Thus, what Attou is tracing down in the roots of the emotion out of and in the dancing body and looking for it to unveil it, arrives to the spectator only to a certain extent. The aesthetic of his (dream) images resemble those of David Lynch. The interior that in French may also stand for the furnishing, marks concrete traces on stage. The furniture is odd in the literal sense, chair and sofa know no horizontals anymore. And at some point in the piece they – together with table, record player and floor lamp – start a life of their own, moving magically and freely through the space, dancing. The light design creates time and again beautiful atmospheres. But also here one can find the leaks and lacks of the piece: the choreographer and his collaborative artists keep on losing the flow. The painted traces on the stage’s floor stay in the end as an aesthetic statement. They become decoration. 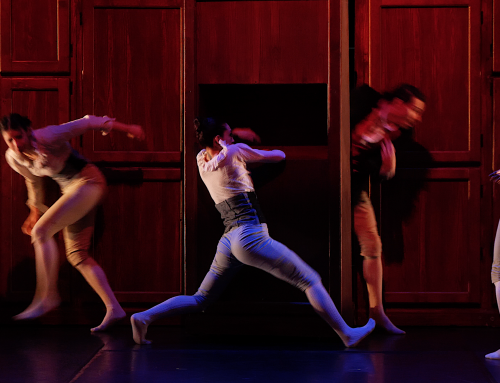 The light changes mostly lead to beautiful images but they always can only illuminate single actions which are announced but the light changes every time – just as the dancers often place themselves before they go into action. This is not only unnecessary but also very sad as actually everything is there. 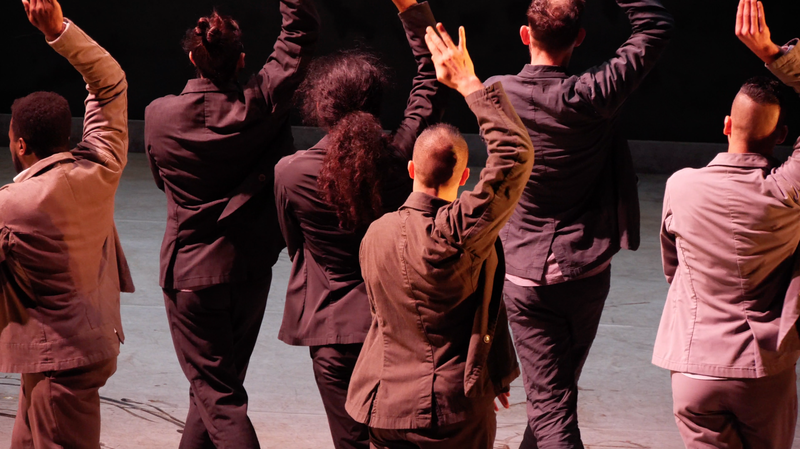 What stays with us is the tremendous physical performance of these male dancers, eleven in number and it seems each one of them embodies another alter ego of the choreographer who surprisingly does not want to explore any female components of his being for this piece. This immense effort leaves an imprint in our memory and erases at first many of the beautiful images. Maybe due to Kader Attou’s ending of the piece: a final battle gives the extensive opportunity to each of the protagonists to present their excellent characteristics. This gesture of the choreographer that releases his performers from the role of his alter ego back into there individuality, likewise depicts a twinkling alienation of the piece as if he wanted to say: “well, do not take my nostalgic memories too serious, we are here at the midst of things…!“ And that shall be celebrated – best with having a flashy “battle session“. 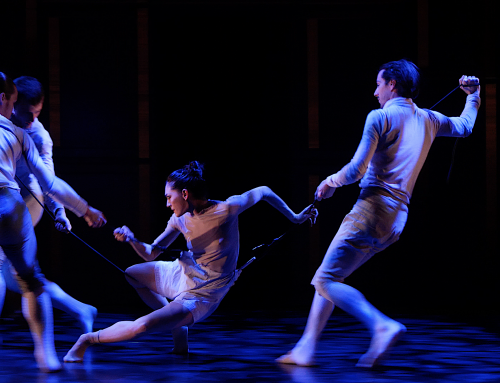 Fortunately, at the very end Attou manages to create a wonderful image when one of his dancers, only supporting himself on one arm, starts circling in a similar magical way as before the furniture did. He is performing fifteen pirouettes altogether, neatly turned and without the least uncertainty, with one hand on the stage while his ten fellow dancers standing in front of the impressively designed back wall slowly get absorbed by the darkness. And suddenly it becomes true that virtuosity, when it is presented in such a brilliant and meaningful manner, may create touching and resonant images which may evoke stories far beyond this performance. 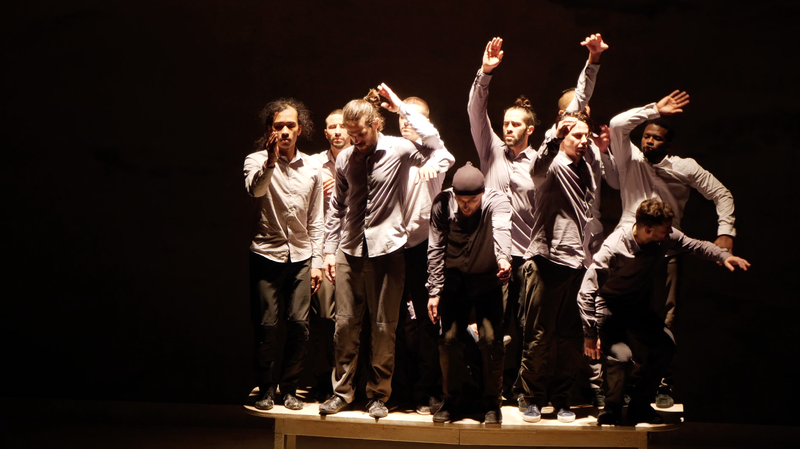 The – in any case – enthusiastic Schrit_tmacher audience did not hesitate a bit to follow this invitation to celebration and cheered the protagonists of ACCRORAP and their choreographer Kader Attou with standing ovations that lasted for several minutes.